The familiar narrative has the potential for themes relevant to modern times, but instead focuses on an often used star-crossed-lovers storyline as primary focus between the action pieces. The human realm of Azeroth is suddenly disturbed by the immigration of Orcs, whose world is being destroyed by evil magic wielded by the warlock Gul’dan. 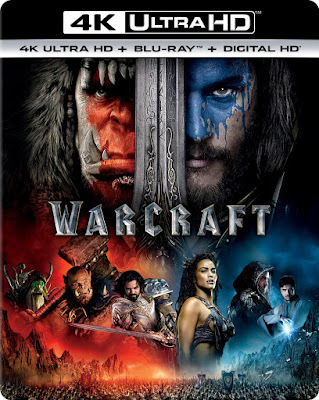 When the king of Azeroth (Dominic Cooper) and his brother-in-law, Anduin Lothar (Travis Fimmel), discover the magic being used in their kingdom, they seek help from the Guardian of Tirisfal Medivh (Ben Foster). There are good guys and bad guys on each side, and their presentation is handled so humorlessly that there is little question about which is which. Lothar is a clear protagonist for the human side, both for his skills as a warrior and for his ability to empathize. This is displayed by a romantic relationship developed between Lothar and a half-human, half-orc named Garona (Paula Patton), shunned by both sides of the conflict for her mixed blood. On the orc side is Durotan (Toby Kebbell), whose recent task of fatherhood has him questioning the direction of the orc horde. If this all sounds too confusing, it should be known that I am leaving a great deal out. The screenplay is dense with establishing fantasy mythology which drains the life out of much of the spectacle. Even when the action does take focus, it is handled without any sense of joy, and is rarely grounded by any established laws of nature when magic is involved. Fans of the computer game franchise may marvel at the way the world has been brought to the big screen in such visceral fashion, but for the rest of audiences this is still likely to feel as lifeless as a game. Nothing about the storyline had me engaged enough to forgive the dreary dialogue and cliché plot twists. In the end I just felt like I was watching a bad blend of the worst elements in Avatar, Dune, and The Lord of the Rings. Director Duncan Jones has proven masterful at handling narratives of intimate science fiction. I don’t know if it was the larger scale of this film or if the fanboy in Jones (he is reported to have played World of Warcraft a great deal), but this feels like a completely different director than Moon and Source Code. The 4K Ultra HD can’t do anything to save the film from its screenplay, but it does offer the best possible presentation of the film’s visuals. Comparison can be made to the increased quality from even just the Blu-ray, a copy of which is also included in the set. There is also a Digital HD copy, so that the set includes three ways of watching the film. The Ultra HD disc doesn’t include the special features, but they are all on the Blu-ray disc instead. 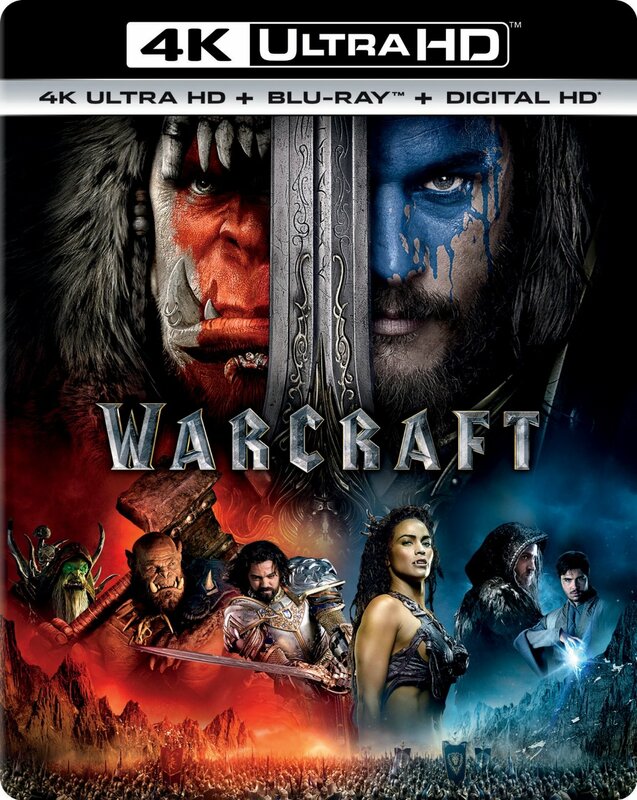 Exclusive to the Blu-ray (not included on any of the DVD releases) is an exclusive motion comic, “Warcraft: Bonds of Brotherhood.” This also includes a six-part making-of featurette. Each section is only about five minutes and covers mostly special effects and art direction, with the exception of the sections about the actors and the story. A separate featurette looks at the life-size figures created for the film. There are also almost 14 minutes of deleted scenes, a gag reel, and a featurette about the fans of the franchise, all of which would likely hate my assessment of the film.